They say cricket is a batsman's game, and for a reason - especially when it comes to the limited overs format. All a team needs to do is bat big to win a game in a stipulated number of overs. Every international team is studded with power hitters to get quick runs and make life miserable for the bowlers. Sure there are some games where the bowlers call the shots but in most games, the conditions are loaded heavily in favour of the batsmen to make merry. The balance between bat and ball is hardly present with the bowlers facing the wrath of the batters. In this article, we look at 5 bowlers who have conceded the most number of runs in an ODI without picking up a single wicket! This was the first game of the Associates Tri-series and any match couldn't have been more lopsided than this! The Black Caps won this game by 290 runs after they scored 402 batting first and skittled Ireland out for an embarrassing 112. 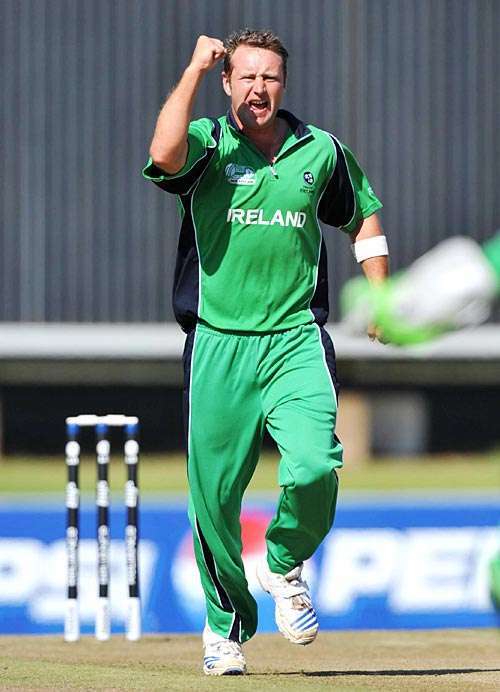 Peter Connell, the Irish medium-pacer and opening bowler for this game, went for 95 runs off just 9 overs at an economy rate of 10.55 runs per over. He was taken apart by the openers and an opening partnership of 274 ensured that Ireland could never recover from the mess they were in. Brendon 'Baz' McCullum with 166 and James Marshall with 161 turned the screws on the Irish with Connell being the most expensive of them all. Connell redeemed himself a wee bit after he top-scored for his side with an unbeaten 22 as the hapless Irish were bundled out for a paltry 112.